Planning an update to your living room this summer? Most décor guides that appear around December focus on making your living room seem cosier, smaller and warmer. That’s because for many in the Northern Hemisphere, this time is associated with cold, wind and snow. In Australia we experience the opposite. For us, summer means heat, humidity and sun and that means a living room that lends itself to relaxation and chill! No matter what colours, furniture or décor you employ there are certain rules that apply in all seasons. The angles of your furnishings should always flow without cutting off any visual areas. Furniture should never be placed flush against a wall and should rather be arranged around a focal point. Lastly, unless you have a large room that can handle angular furniture, picking pieces with curved, informal lines is best. Keep things light and bright with lamps – just add a brighter lampshade. Mirrors reflect light well and are great for smaller living rooms in need of the illusion of space. Choose furniture, rugs and throws in light colours. Allow as much natural light to penetrate the room as possible by keeping your window furnishings simple and unfussy. This means less heavy brocade or ruched fabric curtains and more flat blinds. Change the look and feel of a room by adding accessories in the right shapes and colours. Think vases and pillow prints with metallic shades, natural wood and geometric lines. Take advantage of nature by showcasing seasonal flowers and clippings. If you want to add punches of bright colour, do so with a statement piece or print. Just keep it to one or two items or it could become overwhelming. 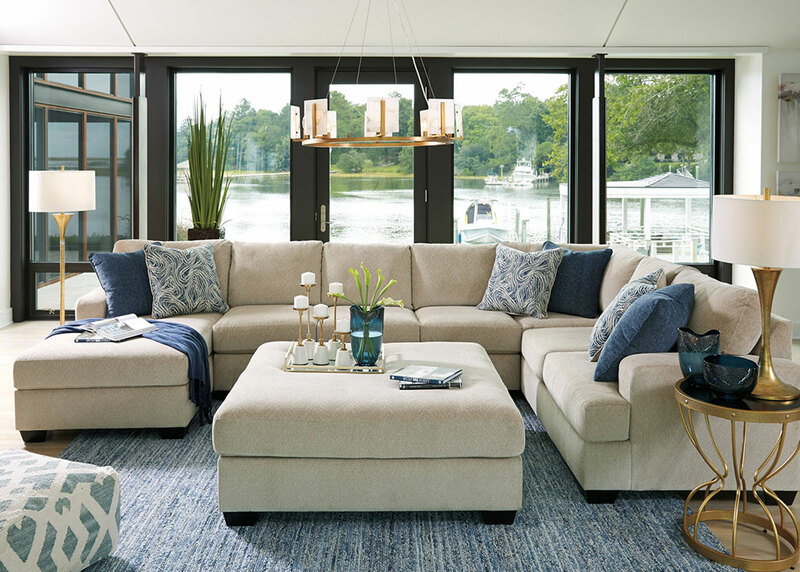 Following these easy tips will ensure your living room always feels refreshing and never stuffy no matter what your plans are for the summer season.